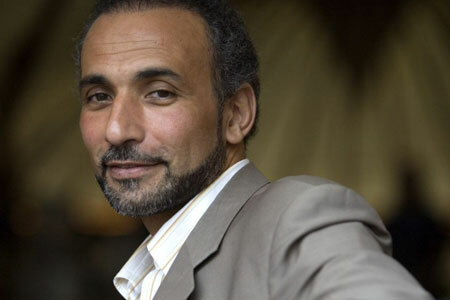 Tariq Ramadan, visited London last night. Often described as the Muslim Martin Luther, this scholar did not disappoint those who came to hear someone who could live up to that billing. 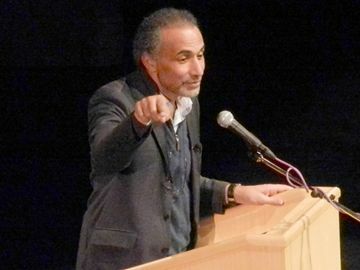 The hour long address was filled with insight, challenge, and a call to action for people of all faiths – even more — people who hold to belief, even agnostics and atheists It was a lot to process while in Centennial Hall. But his words have been marinating my mind since coming away from there and I am grateful to have heard this man of God speak. This rule of life was evident in his time with us last evening. He was generous and gentle, he was challenging and provocative, but in all of it he was respectful, empathetic and loving. Even when challenged by a difficult questioner, he maintained a posture of humility, listening and respect. It was in every way an inspiring evening. Congratulations to Kings College campus Ministry on a great event that was timely, important and well received. I pray that we respond to what we heard by working in humility to work with others to address the injustices that we see around us. I pray we always remember our call to be a voice for the voiceless — Yes Tariq — “A passive citizen is a contradiction! Thank you Kevin for telling us about Tariq Ramadan. This is important.